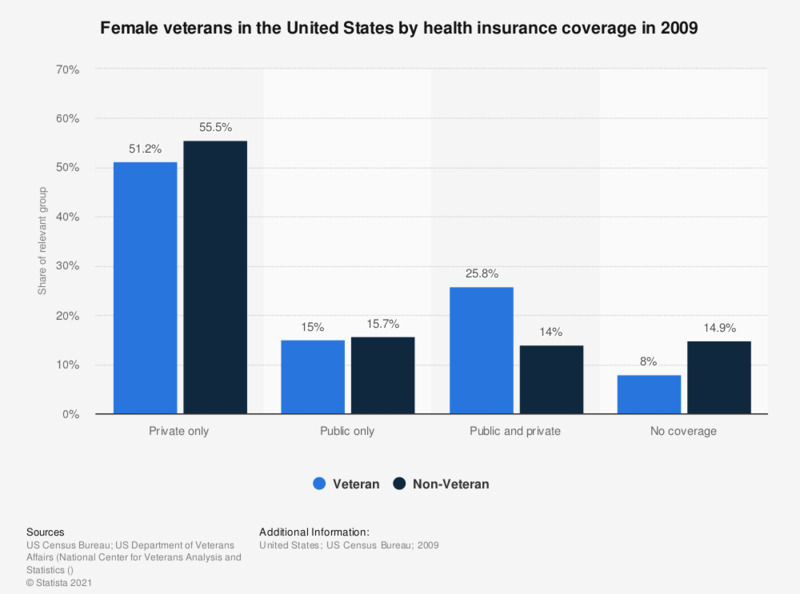 This graph displays female veterans by health insurance coverage in 2009. 8 percent of the female veterans had no coverage. Which of the following would you consider career objectives or priorities for 2011?